I 471 to Memorial Parkway. Right on Waterworks Rd, Left on Wilson, Right on Fairfield Place. Charming home nestled in a quiet cul-de-sac in desirable Ft. Thomas. Open plan ready for entertaining. Kitchen boasts tile flooring w/views of main living space. Dining rm features french doors opening to expansive private deck. 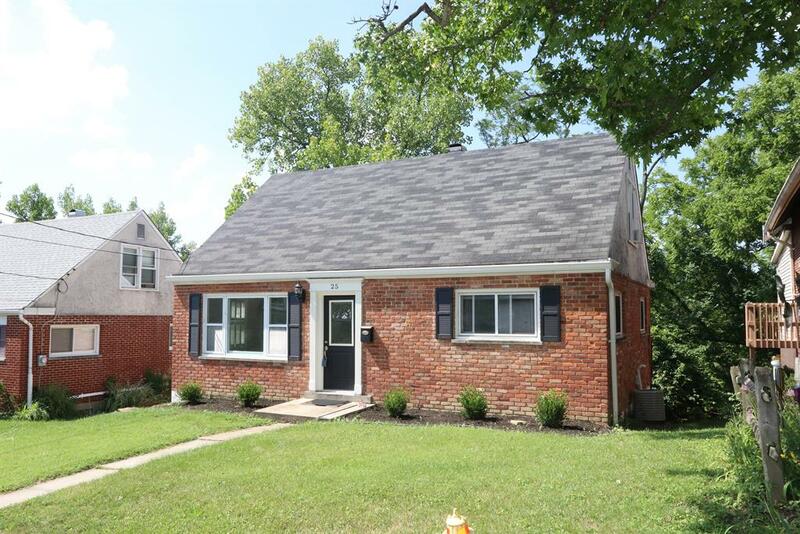 Hardwood flrs abound on main level, Updated bathroom w/walk in shower. Minutes from downtown, expressway, dining and shops. Bedroom currently used as den. HMS warranty.